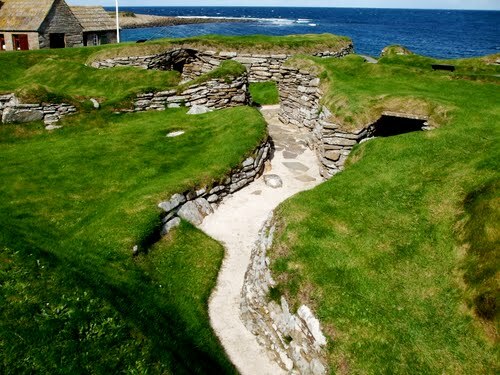 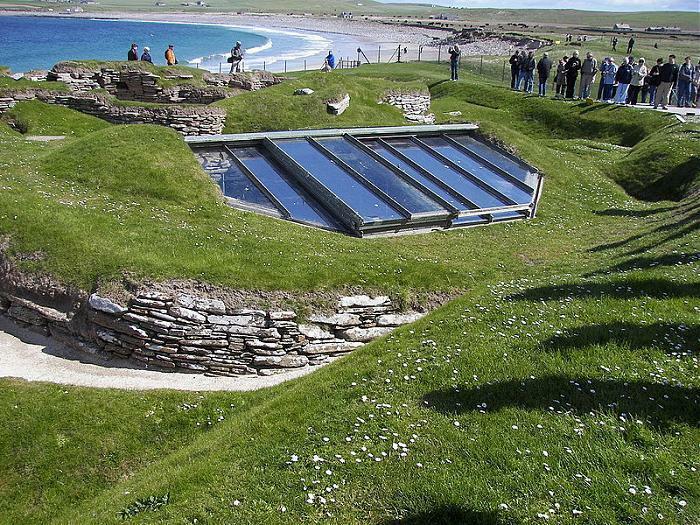 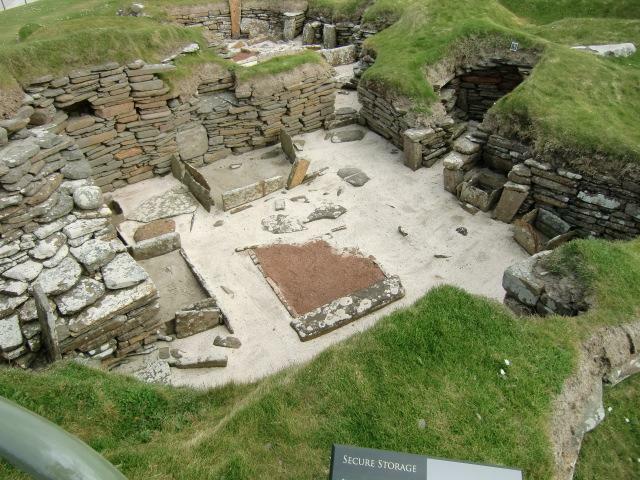 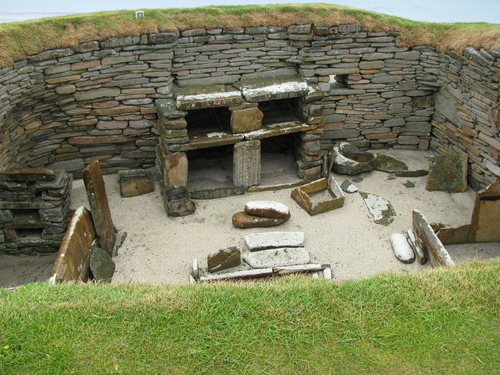 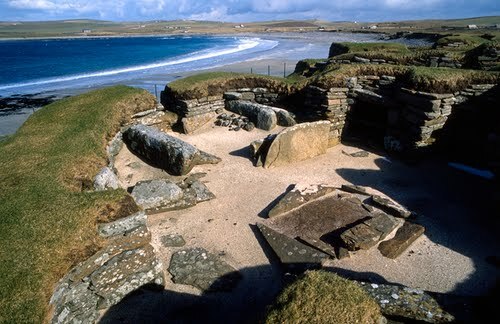 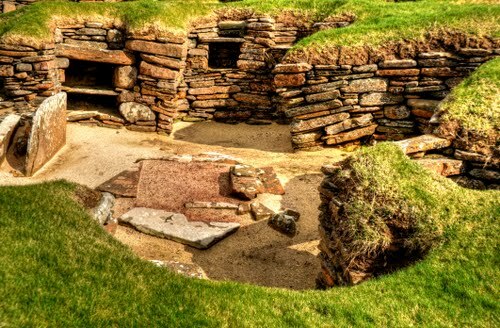 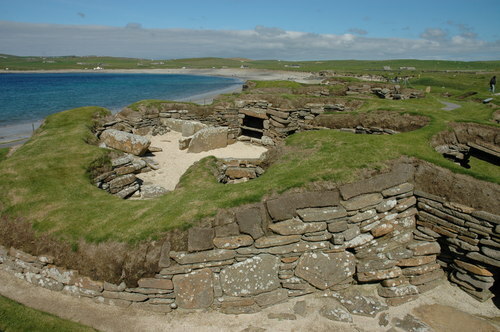 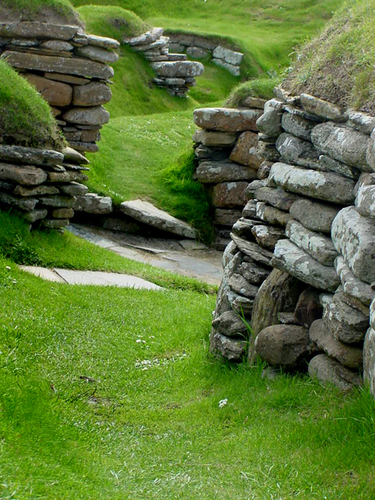 Skara Brae is a stone-built Neolithic settlement, located on the Bay of Skaill on the west coast of Mainland, the largest island in the Orkney archipelago of Scotland. 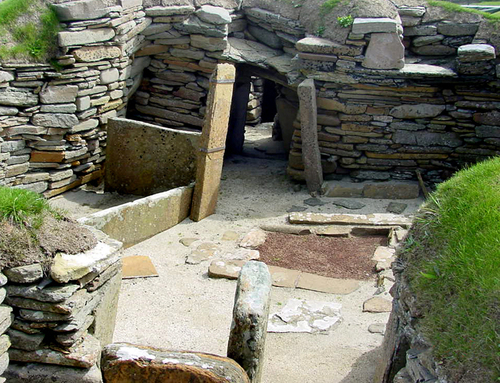 It consists of eight clustered houses, and was occupied from roughly 3180 BCE–2500 BCE. 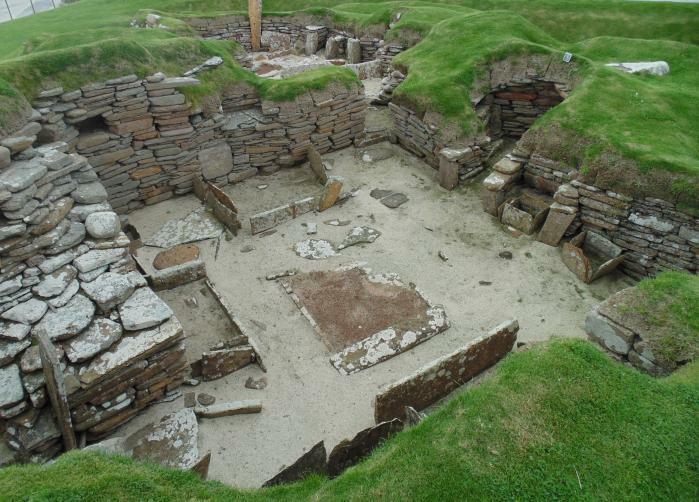 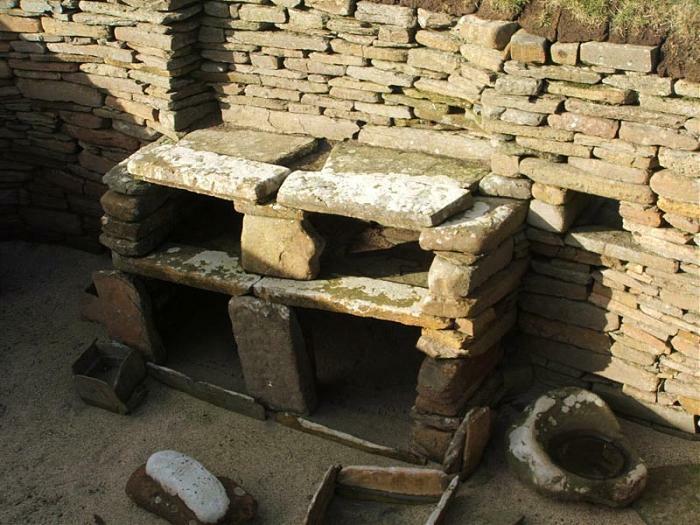 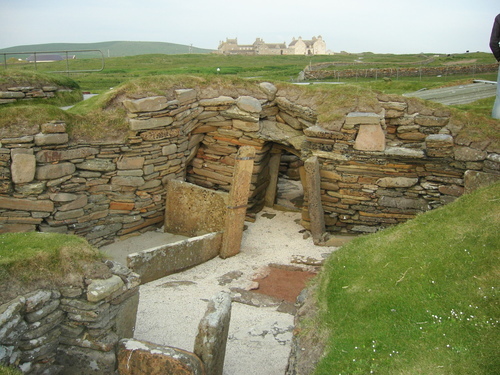 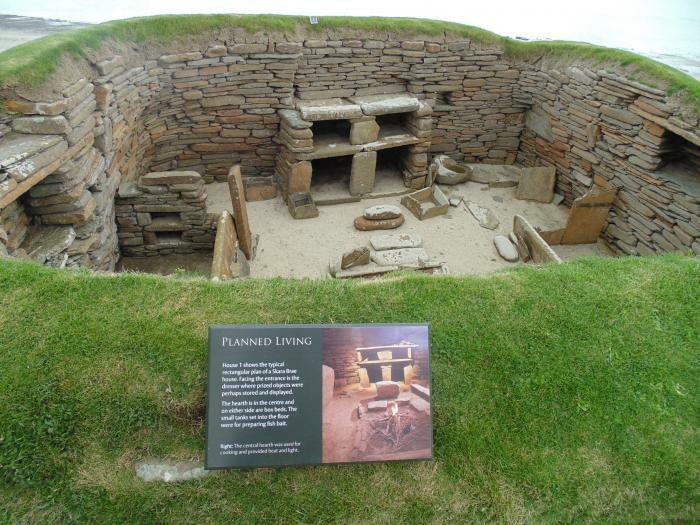 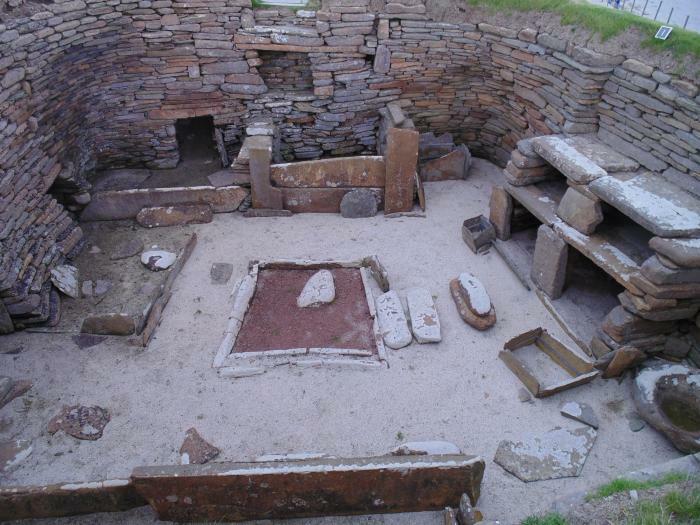 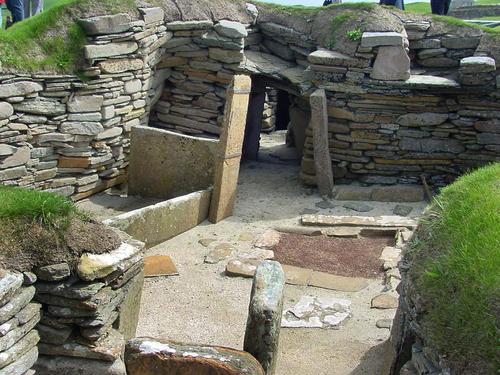 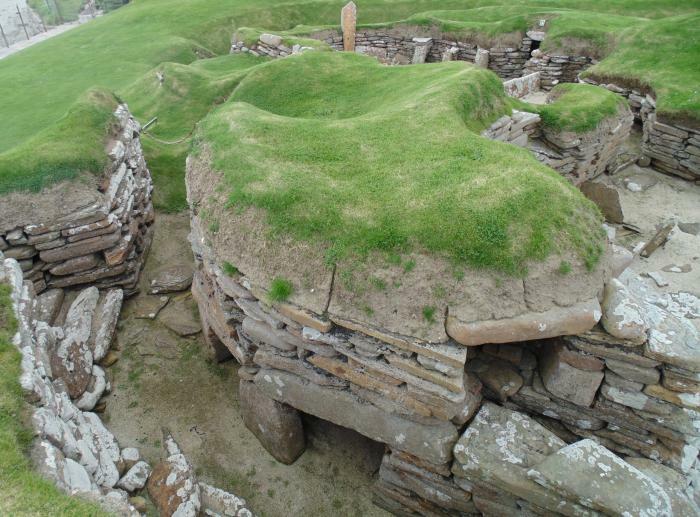 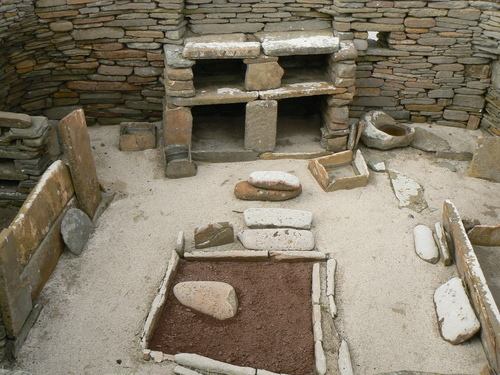 Europe's most complete Neolithic village, Skara Brae gained UNESCO World Heritage Site status as one of four sites making up "The Heart of Neolithic Orkney. 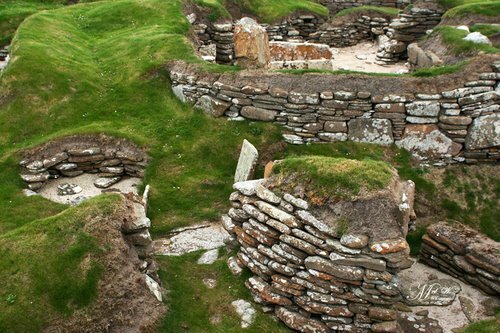 "a Older than Stonehenge and the Great Pyramids, it has been called the "Scottish Pompeii" because of its excellent preservation.